59% Cabernet Sauvignon, 25% Syrah, 12% Merlot, 11% Cabernet Franc, 6% Malbec, 5% Sangiovese, 2% Zinfandel, 1% Petit Verdot, 1% Carmenere. 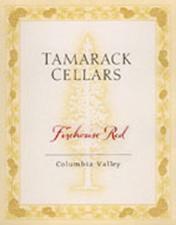 Tamarack’s ever popular Red blend is a consistent hit. Pretty notes of vanilla, blackberry, cherry and rose petals. On the palate, caramel and jammy black fruit. Well-balanced, with soft tannins and a bright acidity, leading into a lengthy, smooth finish.